Spelling has always been important in our learning environment. I remember when I was in high school and realized that I didn't know when to use a c or an s in a particular word. This experience made me aware of my lack of knowledge so I became more diligent in adding the many rules of spelling to my memory. 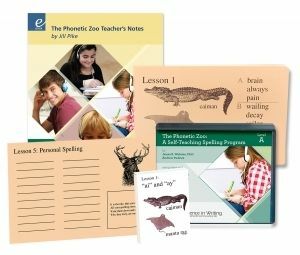 Institute for Excellence in Writing's Phonetic Zoo Spelling Level A Starter Set teaches and reinforces the rules of spelling that I didn't pick up in my elementary years. The starter set includes a CD set, large set of instructional cards, deck of individual cards, aweb-based video, and adownloadable teacher's guide with appendixes. The program also requires other materials such as a CD player and a notebook. The program is not the standard list per week type instead the pace of the lessons is dependent upon the student. Each lesson introduces a new spelling rule, hint, or tip. For example, lesson two of Phonetic Zoo focuses on the "ie" rule and the hint is "when the sound is /ee/ it might be i before e except after c ...". The tips are a tool to help the speller build a necessary foundation to help achieve proficient spelling. Each lesson begins with an introduction to the new words by the parent or instructor. We went over the new rule and practiced spelling the few words that are written on the instructional cards. Once we discussed the rule or tip, my eight year old set off to write out the words being dictated on the CD. There are fifteen words read for each lesson. The narrator also reads and reinforces the rule throughout the recorded dictation. The thing that makes Phonetic Zoo different is that it is primarily auditory. The rules are spoken aloud. The words are dictated. The only writing required is the list created from the dictation. Another unique aspect of the program is that the student remains on the same list until they score 100%. There's no rush to move to new the lesson if the student struggles, and it is less likely for the learner to forget the spelling after one week because it is more likely that the learner has internalized the rule. How did we use the program? Our eight year old used Phonetic Zoo Spelling Level A several times per week. She primarily used it on Monday, Tuesday, and Thursday. 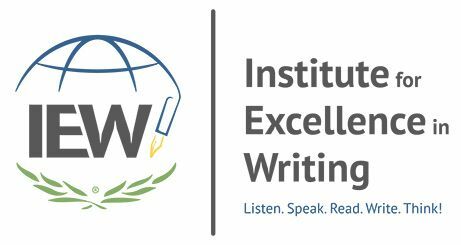 We mostly used it in the way it is prescribed by IEW. When she started a new lesson, I introduced the new spelling rule using the large instructional cards as a guide. I did copy the entire teacher's guide, and used it to review some of the discussion points. Once we discussed the new rule, she listened to the audio recording using the CD player and wrote the dictated words in her notebook . This normally took about 20 minutes. Initially, we used the entire program as prescribed where she would listen to the corrections on the audio disc, but soon that wore off. Instead of her listening to the corrections, I go over the corrections with her. If I notice that she has missed only one or two words in the list, she is able to look at the guide or instructional card and make the corrections herself. As a parent, I liked the program for my daughter because she tends to not want to take her time to spell certain words. She automatically sees them as difficult simply because of the number of syllables. Phonetic Zoo caused her to slow down and use the knowledge she already had acquired. She didn't fall in love with this program. She was not a fan of doing the same list over and over again more than a few times. I am not sure if she realized that she didn't make the same number of attempts on every lesson because some concepts she already knew or she caught on to the rule early. I found some of the jingles distracting because they were to wordy and so did she. In this case, I dictated the words and condensed the jingle just a tidbit particularly when she was learning the -ough rule. Overall, I think Phonetic Zoo is a solid spelling program. It offers independence while fostering lifelong spelling skills. I still use certain tips to help me spell so I really do believe in the philosophy behind the program.